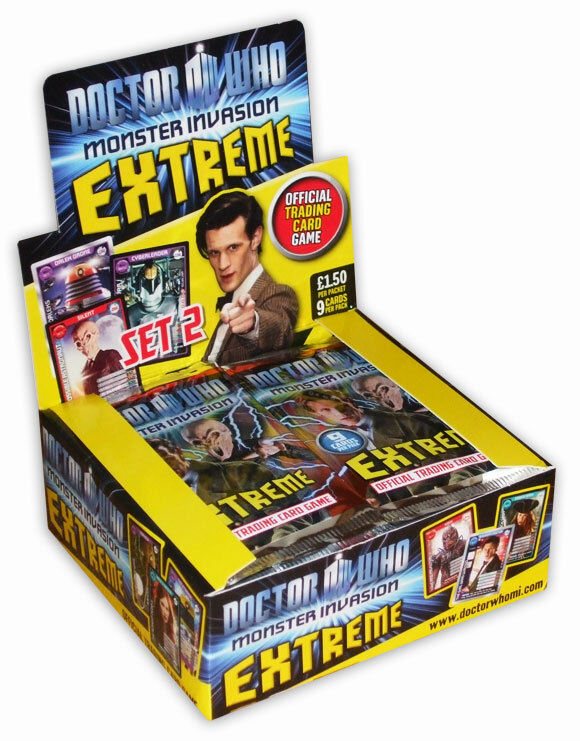 Start collecting the awesome NEW Doctor Who Monster Invasion and build up a mega-monster magazine and cool trading card collection. 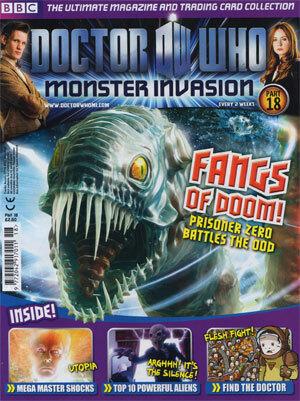 You can subscribe Here on the official site where you will find all you need to know about Monster Invasion magazine. There are 52 fortnightly issues to collect. 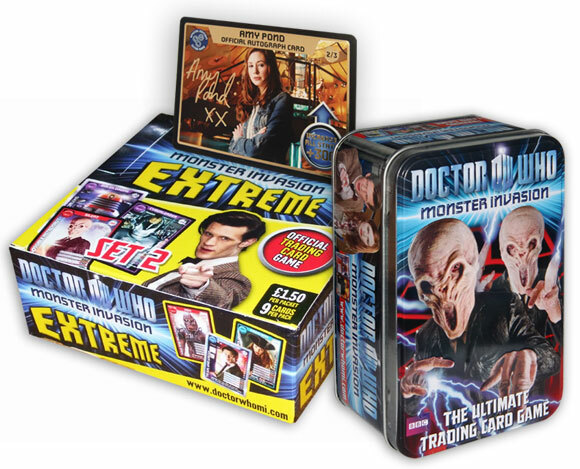 Part 1 is £1.50, thereafter it’s £2.60 though you can also buy the card packs separately at retail at £1.50 per pack of nine cards. The good news is that monster invasion found out that we didn’t pay so that’s why I didn’t recieve issues 13-18 and will be sending 15-18. The bad new is they can’t get hold of 13&14 so I will have 2 magazines missing from my colection. That’s probaly why they don’t have Issues 13 and 14 on Backs Issues, did they give you any compensation of any sort for that happening? i subcribed and ive had issue 1-16 and not 17 and 18 .im mad. i brought them. will i need to subscribe again. Email them about it, their usually quite helpful. Try using this address too – hannahs@databasefactory.co.uk – She normally gets back to you within 24 hours, and she is usually able to sort the problem. We are STILL awaiting issues 17 and 18 and its now 11th january !!!!! I will try the e-mail address for hannahs at the database factory as I cant get through on the phone ggggggrrrrrrrrrrrrr! doctor daddyy cool 67, I had the same problem, but then my dad called them and said that they sent copies to a warehouse on Friday the 6th and should come by the 20th of this month. Booboo or anyone does the 1st tin have the test set or set 1?? Please reply! Enjoy it it’s a really great site! You sure will. I loved it the first day I was on it!! No problem. Oh and how many cards of MI do you have? 1. Which magazine do you prefer? MI or DWA? 2. Do you prefer Tennant or Smith as the doctor? MI and Matt Smith (although he’s still nowhere near my favourite) it would really need to be either Troughton or Pertwee. Oh I just regenerated again…Sontar-ha! Oh, anonymous those are the answers I gave too! oh and by the way i am knew to this site and i must admit it is amazing! I would have to to say MI and Tennant.